Delta makes the difference for designers and their clients. The brand lives by three tenets: water has the power to transform the way people feel every day, there can be magic in simple solutions and innovations flow from human insight. Inspired by our customers' needs, we've engineered innovations, such as Touch2O® and Touch2O.xt®, MagnaTite® Docking and H2Okinetic® technologies that offer a one-of-a-kind way to experience water. 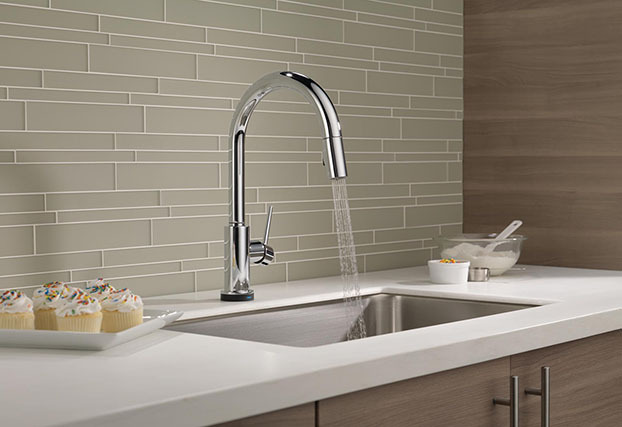 We pair thoughtful features, such as being able to turn on a kitchen faucet with a tap of an elbow, with transformative designs and products that are built to last a lifetime. It's no wonder that Delta is a leading innovator in the way people use water every day. We look forward to hearing from our customers. Please contact us for product support or other inquiries. Or visit us at one of our showrooms. 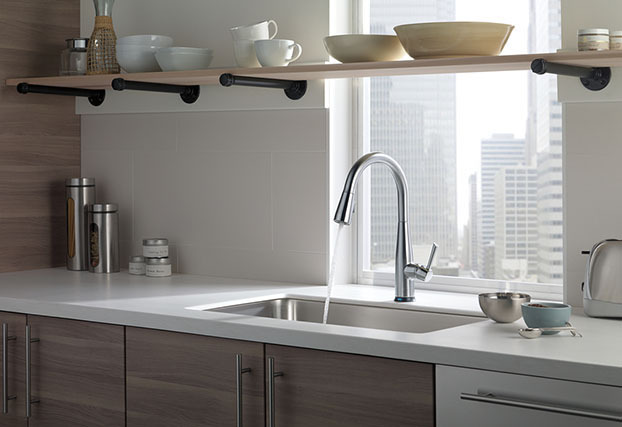 Kitchen - Sink Faucets, Specialty Faucets, Accessories, Collections. 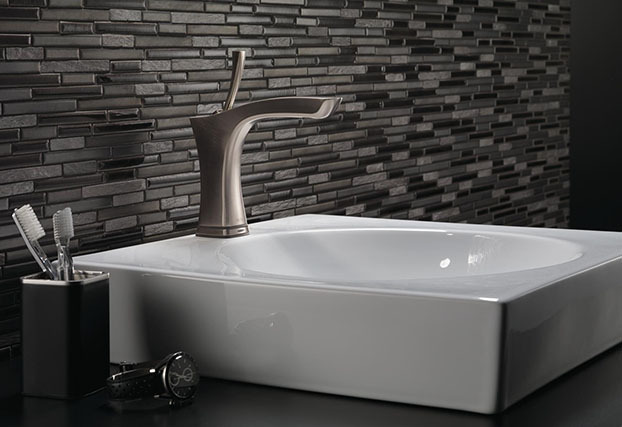 Bathroom Sink Faucets - Bathing, Showering, Toilets & Bidets, Accessories, Collections. Featured Innovation - In2ition® Two-in-One Shower, SpotShield™, H2OKinetic®, Touch20®. Kitchen - Pivotal™ Kitchen Collection, Mateo® Kitchen Collection in Black Stainless, Contemporary Pot FIller in Black Stainless. 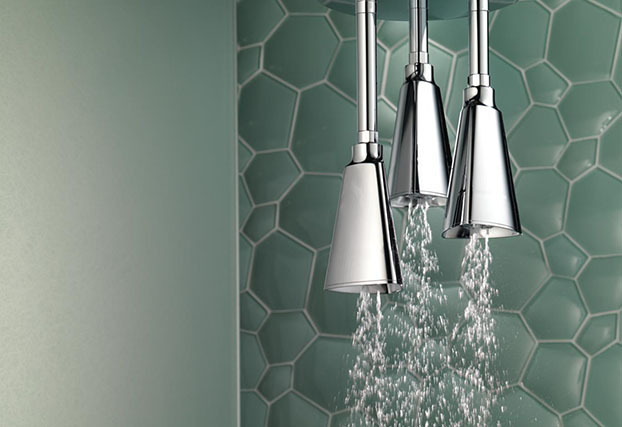 Bathroom - HydroRain® H2OKinetic® 2-in-1 Shower, Woodhurst™ Bath Collection, Everly® Bathroom Collection. 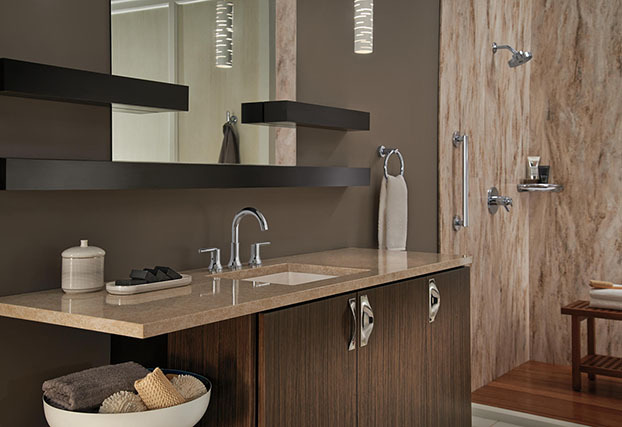 Delta Faucet Company places a high priority on products that address today's environmental concerns, such as accessibility to water, water conservation and water quality. 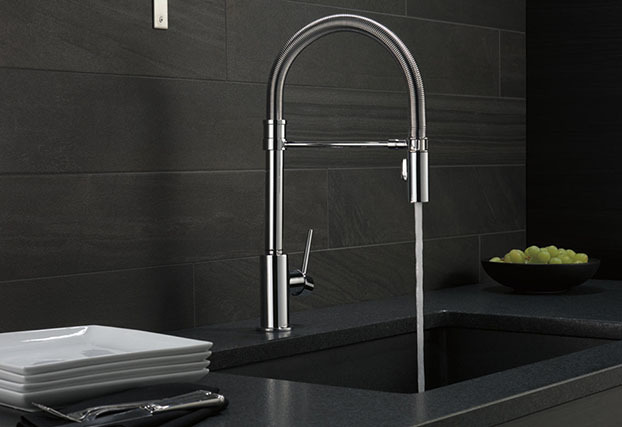 To that end, Delta Faucet invests in internal processes and systems that provide innovative solutions and ensure exceptional customer satisfaction. As a manufacturer partner of the WaterSense® program of the U.S. Environmental Protection Agency (EPA), Delta Faucet Company is committed to working with the EPA to actively protect the future of our nation's water supply. The Company also practices improved manufacturing processes to reduce its ecological footprint.